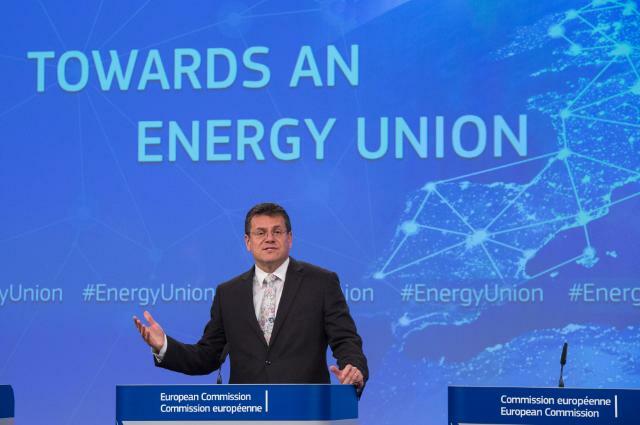 BRUSSELS: The European Commission today presented a package consisting of four legislative proposals which aim to enhance European energy security. Central to this challenge is the future of gas in the European energy mix. The EU has been clear: This future is short. “It’s not the first time the EU is clear on investments in gas and LNG infrastructure risking fossil lock-in, if one doesn’t plan for CCS. This is determined already in the EU’s 2050 Energy Roadmap”, Hauge continued. “When it comes to Norway, they continue talking about gas as a bridge, but it could just become a bridge to high future emissions,” Hauge concluded. It is therefore good to see the LNG strategy addressing this risk, as it reads: Energy efficiency measures and lower carbon sources such as renewables are also crucial, and care should be taken with regard to investment in LNG or gas infrastructure to avoid the risk of technology lock-in or stranded assets in fossil fuel infrastructure. The EU’s Vice-President for Energy Union Maros Sefocvic and Climate and Energy Commissioner Miguel Arias Cañete today presented the much awaited ‘energy security package’. Today the EU imports 53% of the energy it consumes and some countries, particularly in Eastern Europe, depend for their gas imports on one main supplier – Russia. 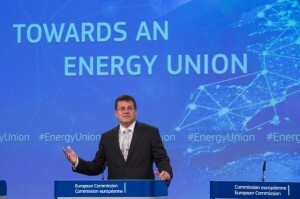 Diversification of energy sources has therefore been a central driver of both the European Energy Security Strategy and the overarching Energy Union initiative. Climate change has been the other driver. With the EU’s 2030 targets of at least 40% greenhouse gas emission reductions, at least 27 % renewable energy and at least 27 % energy efficiency, the package presented today, particularly regarding heating and cooling, is a step on the way to a low-carbon economy.